FSVPL.ORG: Author Craig Harwood - SV Library, Aug. 17! Author Craig Harwood - SV Library, Aug. 17! Come to the Scotts Valley Library on Saturday, August 17 at 2:00pm and meet Craig Harwood, author of "Quest for Flight". Quest for Flight is a biography of a prolific scientific inventor and the principal aviation pioneer in the merican west at the turn of the nineteenth century. At a time when many grappled with the seemingly impossible "problem of aerial navigation" John. J. Montgomery independently solved the problem of human controlled flight and served as unofficial dean to a community of California based aviation pioneers at that critical tipping point in the race to conquer the skies. Santa Cruz County served as an important locale for a pivotal point in the story and represents a Kitty Hawk of the west. 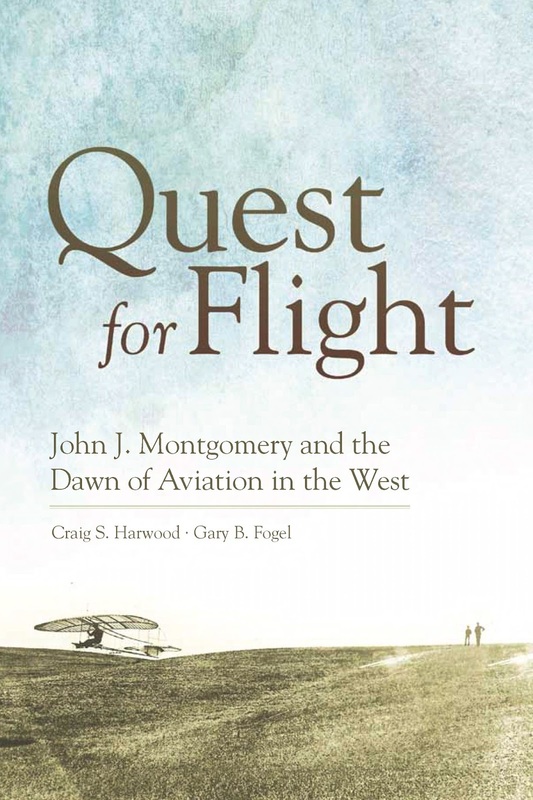 Gary F. Kurutz, Principal Librarian, Special Collections, California State Library says, "In this beautifully written and thoroughly researched comprehensive biography of John J. Montgomery, Harwood and Fogel not only debunk many of the myths surrounding Montgomery and the Wrights but also provide a history of pioneer aviation in the West." Kevin Starr - author of "California: A History" wrote - "Informed and vividly written, Quest for Flight revises the chronology of aviation in America decades prior to 1903, and in terms of geography, locates its emergence on a far, far shore from Kitty Hawk." Quest for Flight has received honorable mention in the 2013 San Francisco Book Festival (History Award category) and has been a best seller at the Published in three different periods. Join us for this wonderful opportunity to meet Craig and hear more about this fascinating period in American History, a great event for all members of the family! Raising funds to present and support new programs.